4k00:10TV Noise 0734: Television screen pixels fluctuate with video motion (Loop). 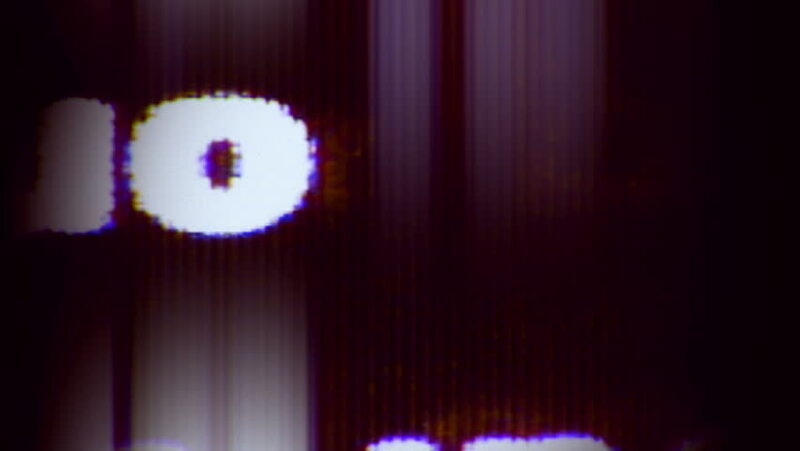 hd00:10Television screen pixels fluctuate with video motion (Loop). hd00:281980s: Hand holds paper card in machine. Men working in lab. Close up of man. Hand points to parts of picture.